Thank you again to everyone who submitted art last week for our first Color Challenge. The palette we worked with was a beautiful palette of Turquoise, Chartreuse, Yellow Ochre, and Burnt Umber. 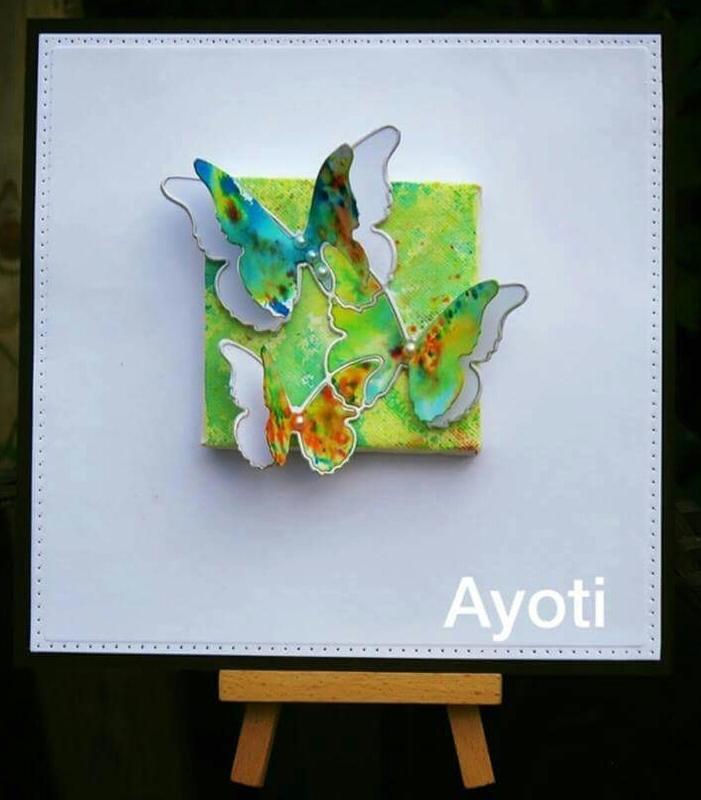 This weeks winner is Ayoti Mittra from the UK. Thank you Ayoti for submitting your wonderful artwork. I follow Ayotri on Instagram and Facebook and I always love seeing her work. Thank you again to everyone who participated! And make sure to leave a congratulatory note for Ayoti in the comments below! Be on the look out for our next color challenge! I'll be sharing it soon! Thank you very much everyone who has voted for me. I am honoured for your support. Thank you very much again. Congratulations to all participants. Thank you very much egrupp284 for your appreciation. Bright and cheerful and pretty! WOW this is so pretty - lovely design and colors! !